Located at Reposo Street, Makati City, this seven level office building shall be the future headquarters of one of the biggest security agencies in Manila. Tropical design considerations are heavily considered on aspects of passive ventilation, daylighting and rain water management to dramatically reduce energy consumption. Low technology – high contact design strategies are highlighted, most especially in the ventilating atrium right at the heart of the building. 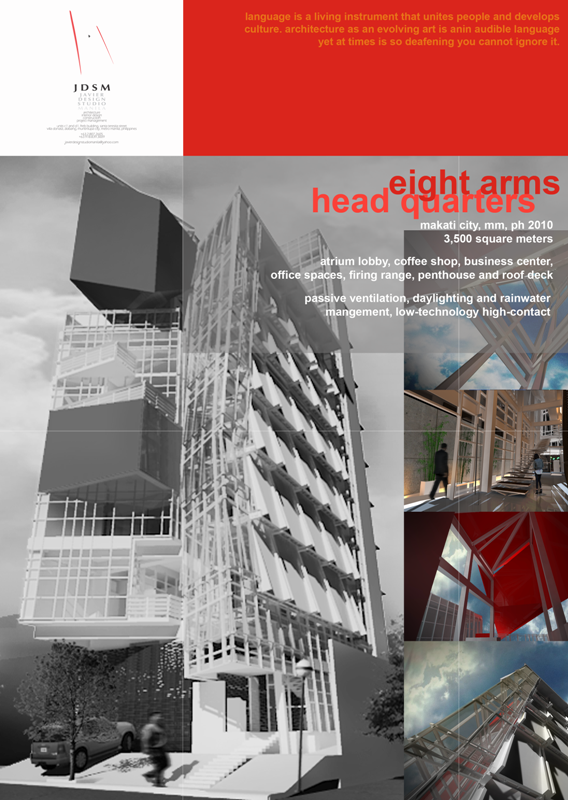 Architectural design development for the Eight Arms HQ in Reposo Street, Makati City.